In November 2009 I had the opportunity to visit the National WWII Museum in New Orleans. The displays of equipment, supplies and stories were amazing. There were areas set up through out the museum with audio interviews from service men and women. Those interviews brought the events to life. 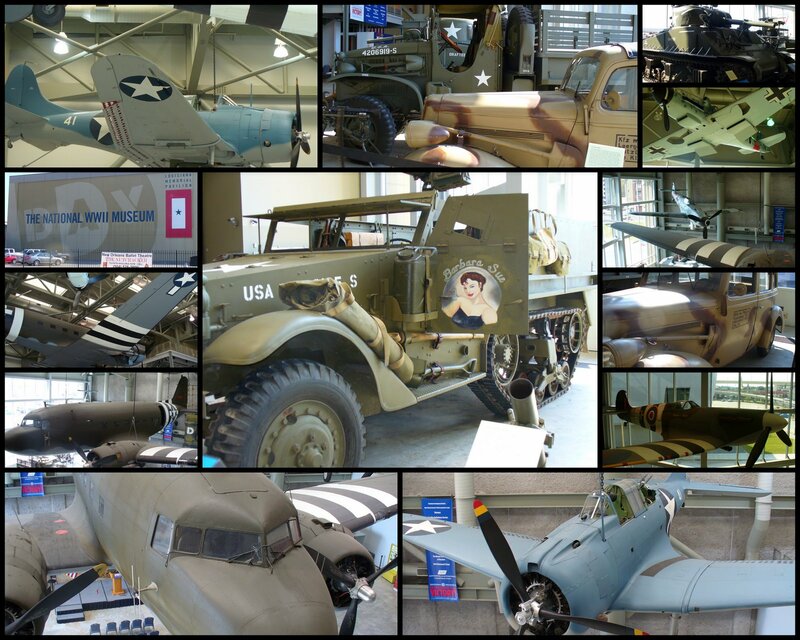 The photos I've included are just a glimpse of what the museum has to offer. Across the street from the main museum building is the Solomon Victory Theater. This is a beautiful, state-of-the-art 4D theater. Yes, 4D! The movie shown is called Beyond All Boundaries and is narrated by Tom Hanks. Simply phenominal! More than worth your time and the ticket price. If you have the opportunity to visit the museum and view the movie, do not miss it! Sounds like a great place to visit! Great pics!